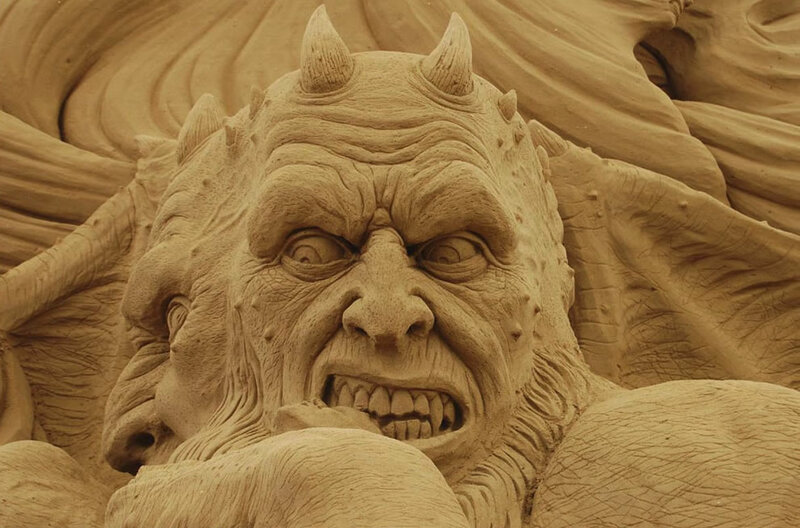 Dante’s Inferno – welcome to hell, a mixture of culture and amazingly intricate and evil sand sculpture art. Dante Alighieri wrote the 14th-century epic poem in which Inferno, meaning hell in Italian, is the first part of his Divine Comedy. The International Sand Sculpture Festival was held in Venice, Italy, on the beach of Jesolo Lido. The Sultans of Sand Worldwide brought together 18 incredibly talented master sand sculptors from 9 countries. 2,000 tons of sand were used to craft 24 different scenes from the 9 circles of hell in Dante’s Inferno. Some of these wildly wicked sculptures stood over 4 meters (13 feet) high and were built in only 10 days! While professional sand sculptors can carve out both amazing and sometimes bizarre creations, the intricate designs of these giant sand demons make this one of the most mind-blowing, bizarre, and unforgettable International Sand Sculpture Festivals ever. A very special thank you to photographers Marco Rizzetto and Gael Reignier for granting me permission to post their copyrighted pictures that show off all 9 circles of Dante’s Inferno. Get ready to traipse through the nine levels, “circles,” of hell: Limbo, Lust, Gluttony, Greed, Anger, Heresy, Violence, Fraud and Treachery. I had the opportunity to admire the entire sculpture, that has all the circles of Hell. Al i can say is that the author has a tremendous amount of talent.